Motel/Hotel Software – Grace Computer & Internet Corp.
GCI MOTEL EXPRESS is a management system that simplifies your daily motel operation. 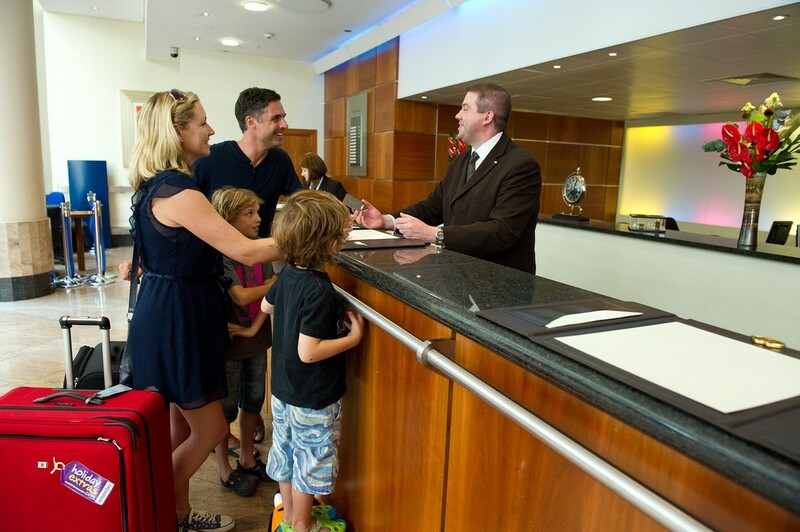 The system ensures the quality of customer service from tenants’ arrival to departure. Can you image paying thousands of dollars for a motel management system? Motel Express costs much less than any similar system available in the market. We are here to help you save you money rather than putting burden on your budget! Motel Express stands on the users’ side with comprehensive commands, attractive graphic user interface and operable data-entry features. All the motel rooms are designed to be colorful boxes on the user interfaces. You can tell whether the rooms are vacant, occupied, held and repaired by looking at their colors from your computer screen. You can also change the status of the rooms anytime by clicking at them. Anyone can learn to use this system in a few days! We highly recommend the touch screen monitor for your Motel Express. This user-friendly device makes Motel Express performs more efficiently by simply touching the computer screen with your fingers. Touch screen monitor is also available at GCI. Accumulate payment- partial option- the system allows tenants to choose partial option to pay their rent. For example, tenants can pay $100 first and pay $60 later for $160 weekly rent. Due-days by payment amount- In addition to rent calculation from arrival date to departure date, the system also calculates due-days by payment amount.Improve Customer Service Using Report Builder Report builder keeps track on the information about your tenants and rooms such as bad tenant list, current tenant list, vacancy list, rent due list, room inventory list and shift drop list. You can further improve yourcustomer service according to those reports. Motel Express places strong emphasis on the security at your work place by ensuring authorized employee to access different levels of information with password or ID number. Motel Express allows more than one computer-stations to network together. Supervisors and authorized employee can reach out the system anywhere at the work place with a computer connection. GCI HOTEL MASTER is an upgraded software version of Motel Express with extended essential features and functions for reliable hotel management.